Reliable Waterproofing & Masonry is proud to say that we offer efflorescence repair and removal for our service area. Efflorescence is a product of salts that come from the earth. Water in the soil carries these salts towards the surface and through the porous concrete or masonry that may surround your property. It lays on the surface of your concrete and masonry and when the water that carried it evaporates, it leaves behind a white, crusty material that takes away from the appearance of any concrete or masonry, whether it be a sidewalk, driveway, or building. 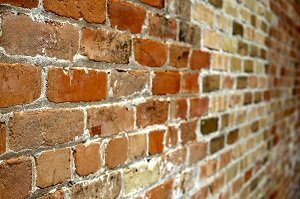 You’ve probably seen it on older brick buildings and noticed that it looked unsightly and detracted from the beauty of the home or building. Efflorescence is mostly a calcium deposit that is left behind, but it may show signs of poor quality concrete or masonry. While efflorescence is not uncommon, it is not completely harmless. We highly suggest that you at least have a professional from Reliable Waterproofing & Masonry come look at it so that they can help you decide how to proceed. This process is usually seasonal, happening more in the late winter and early spring. Luckily, efflorescence is an eyesore that can be repaired and removed. That’s why you should come to Reliable Waterproofing & Masonry. Our team of experienced professionals has the tools and knowledge needed to rid you of efflorescence. There are a variety of methods that are used to repair and remove efflorescence. Some of them include light sandblasting and high-pressure water blasts, among others. We will help you decide which option that we offer will be best for your specific efflorescence case. You can be sure that we will provide you with fantastic results as well as great customer service. Contact us today to learn more about our efflorescence repair and removal options, our service area, or our other available services. These include foundation repair, waterproofing, crawl space repair, masonry, brick re-pointing, and concrete restoration. We offer a variety of services for all your needs. We want to hear from you, so give us a call today! We’re happy to talk with you about your options, advise you on any questions that you may have, and offer your a free estimate for your home. We want you to have a beautiful, safe, and comfortable home that you can relax and enjoy for years to come. Give us a review on Angie's List!